From July 11th to 14th，the 20th Shanghai P&I show ended successfully. This time, Nanguang apperaed at 5.1E058. This year, Nanguang booth adopts an open construction style, and each experience area is clearer and the effect is better. Especially worth mentioning is the new generation of Combo series's first show in domestic exhibition. 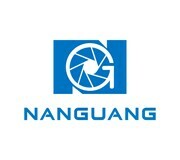 At Nanguang booth, we invited three professional photographers to give lectures on the spot, bringing the lighting knowledge and shooting skills of wedding photography, fashion creative photography and children's photography to the audience.